 Thanks for the feedback!  Pace ofectures: too fast? We have a lot to cover but… please remind me! How much work do I have to do to move q from r1 to r2 ? 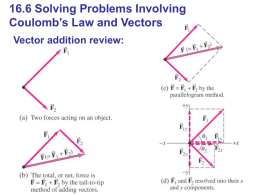  How much work do I have to do to move q from r1 to r2 ?  Does this result depend on the path chosen? 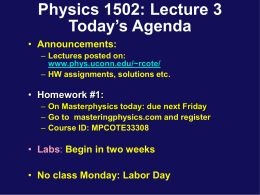 In other words: the electrostatic force is conservative! How much work does it take to assemble a certain configuration of charges? 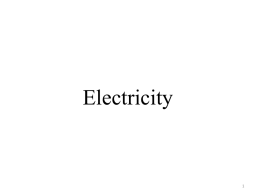 Q: what is the best way of describing the effect of charges?  Magnitude: the denser the lines, the stronger the field. 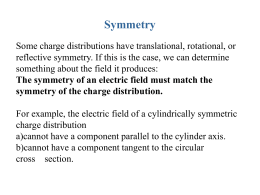  They are orthogonal to equipotential surfaces (will see this later). of infinitely thin concentric rings. What if Rinfinity? E.g. what if R>>z? What is the “flux of the velocity” through the surface S? 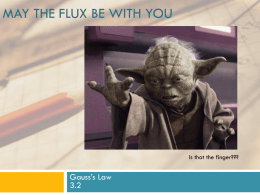 What is the flux of the velocity? what is the direction of dA? 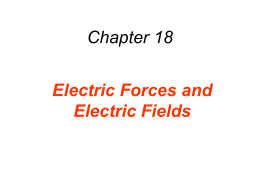 NB: this interpretation is valid for any electric field and/or surface!  The total flux through the cylinder is zero! Q1: Is this a coincidence due to shape/orientation of the cylinder?  No: all field lines that get into the surface have to come out! Q1: What if the surface contains charges? What if the surface is not spherical S? Use intuition and interpretation of flux! 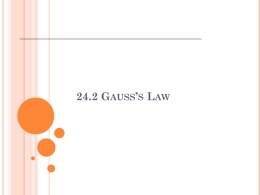  Why is Gauss’s law so important? 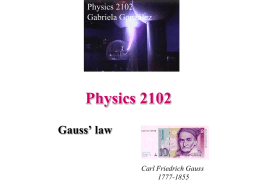  Is Gauss’s law always true? 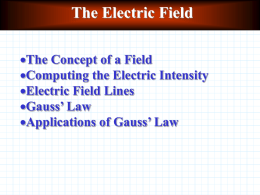  Is Gauss’s law always useful? spherical distribution of positive charges or radius R.
Comment: correct but usually heavy on math! • Why would I ever solve an ntegrals somebody (Gauss) already did it for me? Comment: correct, much much less time consuming! Do I get full credit for this solution? Did I answer the question completely? No! 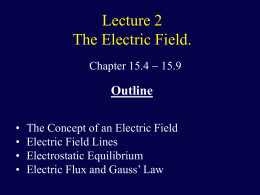 I was asked to determine the electric field. How to get the E direction?  Trick #1: choose the right Gaussian surface! somewhere or there is an easier way out!  Box the solution: your graders will love you!